How Many People Use Methadone? According to the Centers for Disease Control, more than 6,000 deaths were attributed to methadone overdose in 2011. Six times as many people died from methadone in 2011 than in the entire last decade and the numbers keep rising. 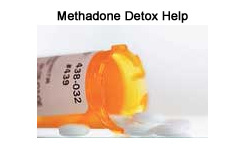 Methadone is a time-release, synthetic, opiate narcotic pain reliever. It can remain in your system for as long as 36 hours and has the potential for dependency. While methadone initially was prescribed exclusively as a detox drug for opiate users and was available only through going to methadone clinics, it is now being prescribed in great numbers as a pain reliever and is given orally. This change has correlated with the elevated numbers of accidental overdose deaths over the last several years. Methadone appeals to users because it is inexpensive, easily accessible and many opiate users believe it will help them get off heroin and prescription pain killers. Prolonged methadone use can lead to physical dependency and withdrawal symptoms can be very painful. Methadone interferes with the brain's function and creates a euphoria and false sense of contentment. As methadone is time release, the effects take much longer to feel than for heroin, oxycontin or other drugs. The side effects of methadone use can include insomnia, fatigue, dry mouth, nausea and vomiting, constipation, sexual dysfunction, anxiety, breathing problems, confusion and hallucinations, chest pain, irregular heartbeat, difficulty breathing and loss of consciousness. Long term use creates a tolerance, resulting in the user increasing the dosage which can lead to accidental overdose. The time release nature of the drug has contributed to the high accidental overdose numbers. Overdose causes respiratory distress, coma and death. Quitting methadone use abruptly can cause severe withdrawal symptoms with many users reporting they are worse than for other opiates. Withdrawal symptoms may include sneezing, runny nose, watery eyes, fever, sweating, abdominal cramps, nausea and vomiting, body aches, high blood pressure, tremors and irritability, delusions, paranoia and suicide. Withdrawal from methadone can take as from a three to ten days after discontinuing use. Most doctors recommend a step-down plan by taking decreasing dosages over an extended period of time. This will minimize or eliminate withdrawal symptoms, but can take several weeks or months for some. If you need detox from methadone use, there are a number of detoxes available including traditional hospital and IV therapy medical detox. In most cases, traditional hospital detox places patients in psychiatric units and restricts the patients from outside contact as well as prohibits the use of personal electronics. Traditional hospital detox also has been known to use oral medication that is not always effective at eliminating the withdrawal symptoms and many patients have complained that they were quite uncomfortable. IV therapy medical detox is seen by many physicians as the safest and most effective method to relieve the withdrawal symptoms from methadone termination. IV therapy is recommended because it allows medical staff to adjust your medications at any time throughout the withdrawal stage to manage your withdrawal symptoms and keep you comfortable. Studies show that the more comfortable you are throughout the detox process, the more likely you are to complete the detox. Studies also reveal that individuals who are successful in completing detox are more likely to be successful in abstaining from future drug use. After your Methadone Detox Treatment is complete, it may be necessary for you to enroll in a program that will help you rebuild your new, drug free life. Freedom Model Retreats offers a program that can help you get your life back on track through their Cognitive Behavioral Learning program. Methadone addiction is not a disease; it is a habitual behavior and a choice; your choice. As such, you and only you, have the power to make a different choice, and change your life for good. The Freedom Model Program guides you through the process of self evaluation and self-directed change. Guests gain control over their lives and learn a method they can take with them and apply to solve their problems long after the leave the program.